Montana’s Peer Network (MPN) is a statewide non-profit organization that is recognized as a leader in the peer recovery movement. The organization was born from a grassroots movement and has grown to a network of over 900 individuals from across the state who are in recovery from substance use disorders and mental illness. MPN helps Montanans recover from mental illness and substance use disorders by offering them the tools they need to live healthy and productive lives, and by promoting the concepts of hope, self-advocacy, education, peer support, personal responsibility, and resiliency. For many years MPN has worked to establish a strong foundation for the field of peer support, culminating in the establishment of a certification process and reimbursement for peer services. In 2012, MPN worked with partners across the state to form the Peer Support Task Force to enhance and develop the professional peer support workforce. As part of this work, they led legislative efforts over three sessions, developed a clear scope of practice for peers along with practice standards and ethics for this emerging field, identified potential funding streams, and built a training curriculum. This work culminated in 2015 with the publication of a Peer Services Toolkit. Based on this work, in the 2017 legislative session, MPN successfully advocated for the passage of Senate Bill 62 which provides certification for Behavioral Health Peer Support Specialists. The bill went into effect on October 1, 2017, officially creating the profession of peer support in Montana. Following that milestone, the Montana Department of Public Health and Human Services began to reimburse for the services of peer support specialists in certain settings, laying a foundation for improved access to this highly effective approach around the state. The Mignon Waterman Award is an annual $10,000 award that recognizes outstanding contributions to innovation, progress, and leadership in behavioral health. We created this award in honor of the late Mignon Waterman’s contributions to strengthening the system of care for people struggling with mental illness and substance use disorders in Montana. Mignon served as one of the Montana Healthcare Foundation’s founding trustees and as board secretary from 2013 to 2017. As a Trustee, Mignon was a passionate and tireless advocate for behavioral health. Her vision, insight, and commitment played an indispensable role in shaping the Foundation’s strategy, investments, and approach to improving the prevention and treatment of behavioral health problems in Montana. MPN exemplifies Mignon Waterman’s tireless commitment to leadership and innovation in behavioral health prevention and treatment and reflects her advocacy for reducing the stigma for behavioral health illnesses through treating people with a lived experience of mental illness and addiction with humanity and care. 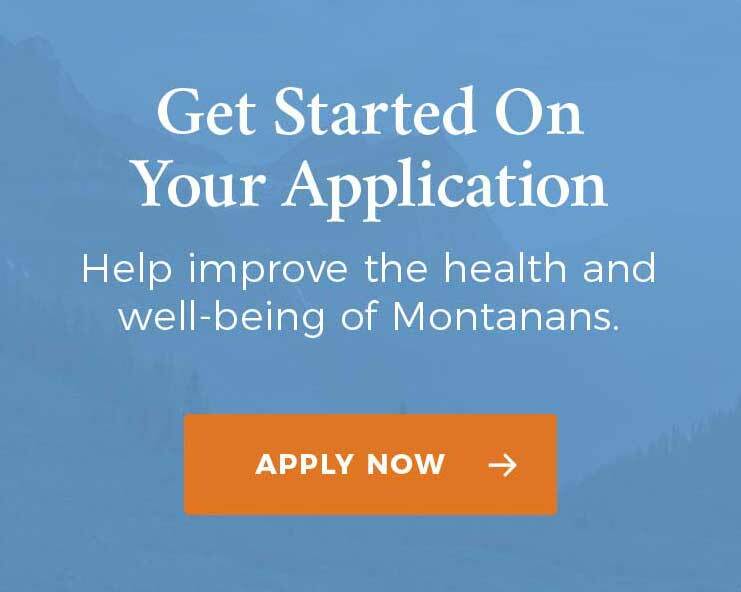 You can learn more about Montana’s Peer Network by visiting their website.